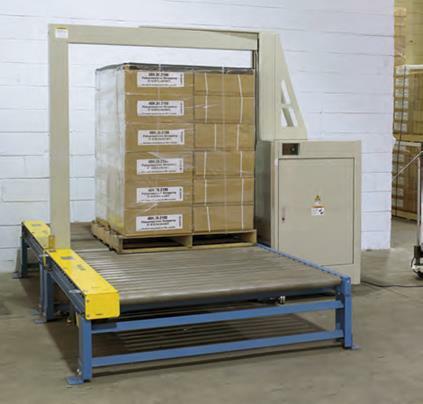 The PAC PSS 2010 is an excellent choice for standard pallets or large package strapping where it is not necessary to feed strap through a pallet void. Available in several different arch and strap sizes, the PSS 2010 is a heavy duty, versatile strapper suitable for a broad range of applications. The proven strapping head produces high tension and consistent, friction welded seal joints for both polyester and polypropylene. The extensive list of standard features on the PSS 2010 is listed below. Plus, it’s backed by the best warranties in the industry, 99% parts availability within 24 hours, and unlimited, free telephone support for the life of the machine. If you are looking for a reliable pallet strapper that is operator and maintenance friendly, you can’t get a better value than the PSS 2010.